Street wear couture has always been a culture, but the combination of the advent of the internet, the crossover involvement of designers, the renaissance of cross-pollinating hip hop, everything associated with Hypebeast and pop stars along with their A&Rs having their ear close to the street helped balloon this once niche and independent phenomenon to a world wide industry and big business. Limited editions are dropped every week and aficionados around the globe camp outside the respective retailers to cop the hottest gear to then either flip it for a multiplicity of the already high original price and proudly display it via their social media channels. The congregations around such launches has become more than mere events – they effectively have become the catwalk of the millennial generation. No matters if it is New York City, Tokyo or London, thousands of young faithfuls line up to get their gear, decked out in what has become the new high fashion, i.e. rare limited edition shoes and other one-off merchandise. 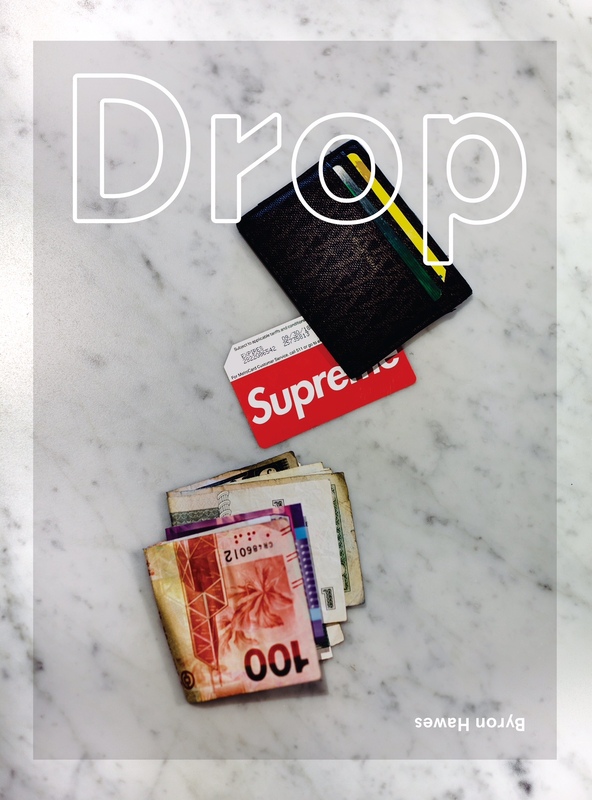 Drop zeros in on those “Drop” events, documenting this culture with intricate photographs that convey the spirit and excitement around these launches, which have become on par with the traditional fashion shows of haute couture houses. For the initiated this is a worthwhile addition to their addition as there is a lot of eye candy when it comes to limited edition street wear – think Yeezyz, A Bathing Ape, Off White and of course Supreme with its various incarnations. For the rest it would have certainly been more interesting if the photographic bits had substantiated with a bit more analysis or at least information around the launches that are being depicted – then again the book was clearly meant to zero in on a very specific phenomenon and viewed from that angle, the mission has been clearly accomplished.